Plan West Ashley is a vision plan that will shape the future of West Ashley’s streets, neighborhoods, and public spaces. Community participation was critical in shaping the vision for West Ashley's future. Visit www.planwestashley.com for more information. 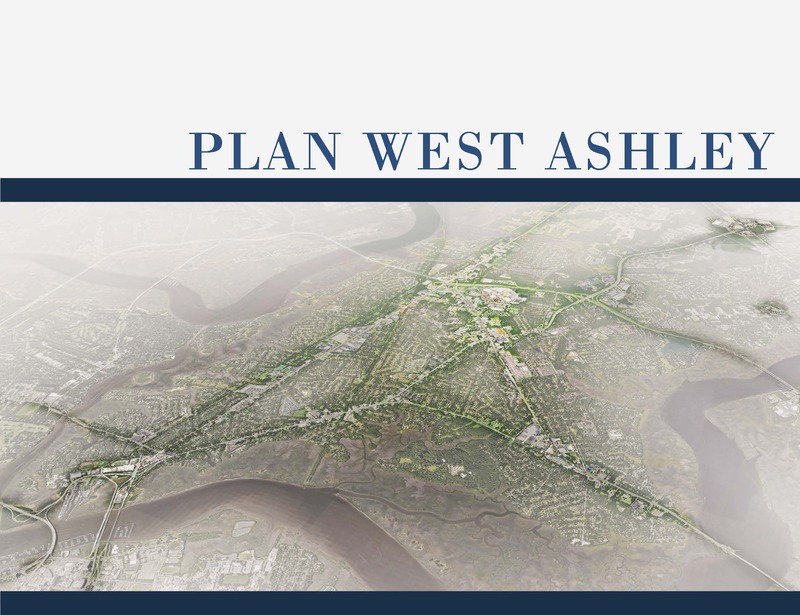 Plan West Ashley is intended to play a pivotal role in shaping the future of West Ashley. This master plan sets broad policies and identifies specific actions that will enhance West Ashley’s quality of life, support complementary economic growth and development, revitalize obsolete auto-centric commercial areas, and protect the area’s historic, cultural and natural environs. Plan West Ashley provides goals, objectives and specific strategies related to the following topics: land use, infill development, community design, public facilities, parks and recreation, housing, health and quality of life, sustainability, transportation, stormwater drainage and economic development. The Plan includes market driven recommendations, land use guidelines, conceptual development plans, maps, pictures and graphics that will serve as a foundation for future land use decisions. The West Ashley Revitalization Commission served as the steering committee for Plan West Ashley but public input from all members of the West Ashley community was crucial during this planning process. The public planning process began Spring 2017 and the Plan (overviews & implementation) was adopted February 2018. Dover Kohl, the planning consultant hired to work on the West Ashley Master Plan, has local and national level experience in planning, coding, and overseeing the design and construction of complex planning projects. Dover Kohl is renowned for their expertise in public engagement, creating visual and easy to understand planning documents, making realistic recommendations, and developing achievable implementation strategies. Alongside their expertise, they've assembled a team of subconsultants to assist in West Ashley planning efforts: Horsley Witten Group (stormwater and environmental), Alta Planning + Design and Bihl Engineering (transportation planning and engineering), Strategic Economics (market analysis and economic development) and CityFi (innovation).